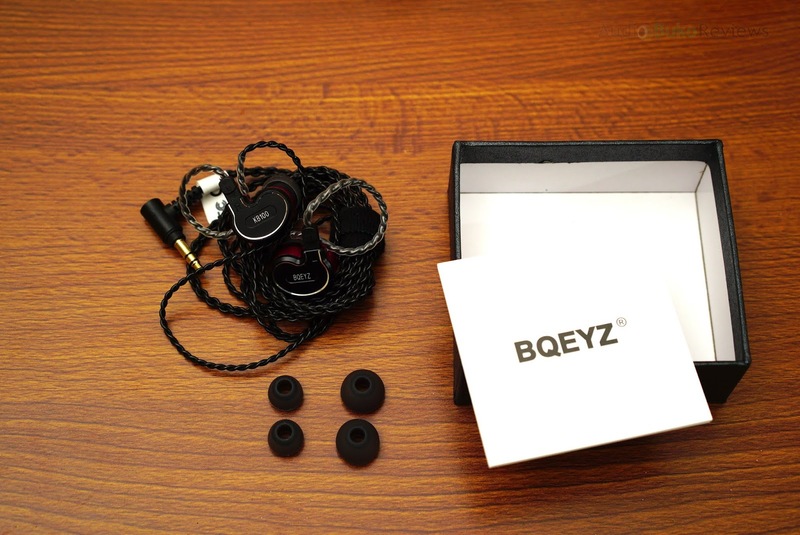 Introduction: BQEYZ is a relatively new company to the audio scene that's come to light recently. Though as I discovered, they have a pretty experienced development team that handles their products and that they seem to favor a certain style in terms of driver configuration, this is evident with their latest release, the KB100 (red and black version) which I'll be reviewing today. I'd like to thank BQEYZ and Penon for chance to review this KB100 in exchange for my honest and unbiased review. You can buy the BQEYZ KB100 at Penon website or locally if your local retailer has them in stock. 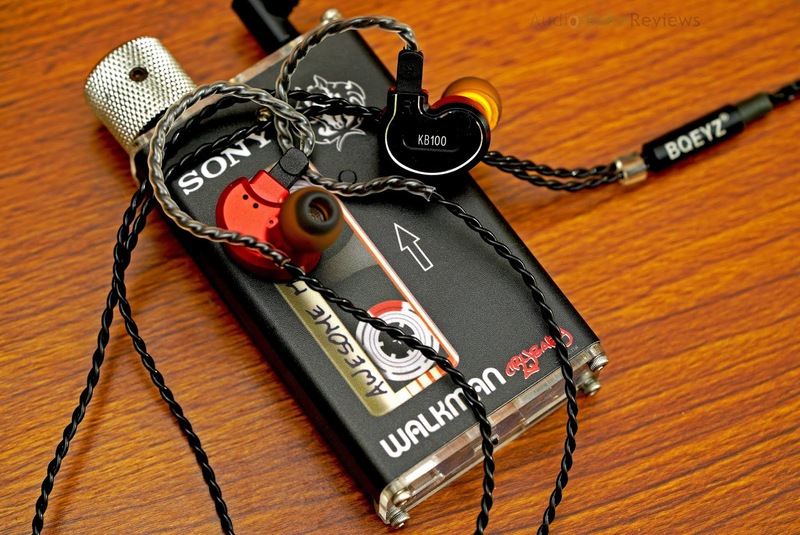 The KB100 is quite easy to drive at 15Ω, it does well even on my phone, a notoriously weak volumed Xperia, it can get to a nice and easy listening volume at 11/15 thanks to the good level of sensitivity, max volume is very loud. Using better sources will scale the KB100 fairly well. 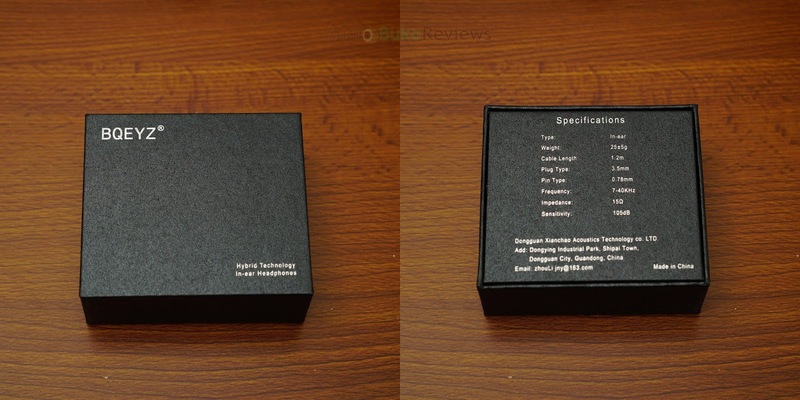 Unboxing: I like things in a minimalist manner for my audio gear packaging, it stems from an old mentality that less spent on the packaging, the more spent on the product quality, which is why I am fairly happy at the compact box that the BQEYZ 100 came in. Just a simple square box that has minimal markings. just the branding up top and specs at the back. Inside is a nicely presented product with nearly everything up front, the iem, part of the cable & the silicone tips, below that is the rest of the cable and a manual, a very basic package. 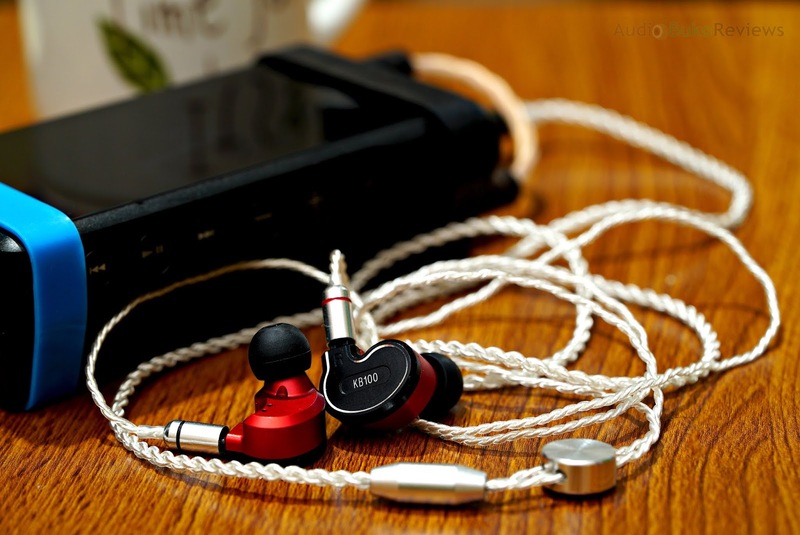 Cable: The cable is a relatively soft, slightly springy but feels strong, not stretchy and the braid it utilizes practically eliminates microphonics and feels comfortable to wear for long periods of time. The plug is a a 90 degree bent type that has an aluminum jacket for durability and an adequate strain relief extending at a right angle from the plug. 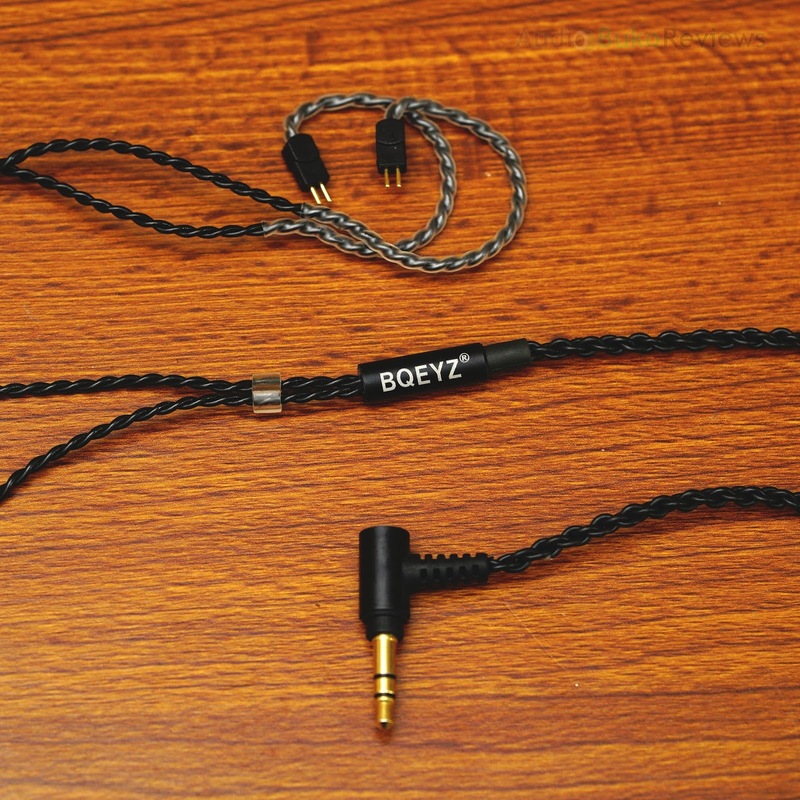 The splitter is also covered by aluminum and branded with BQEYZ, there is a rather solid rubber tube as a strain relief at the bottom part and no strain relief at the top end. The chin slider is a small oblong block made of clear acrylic, it's simple, effective and functional when needed and nondescript when not. 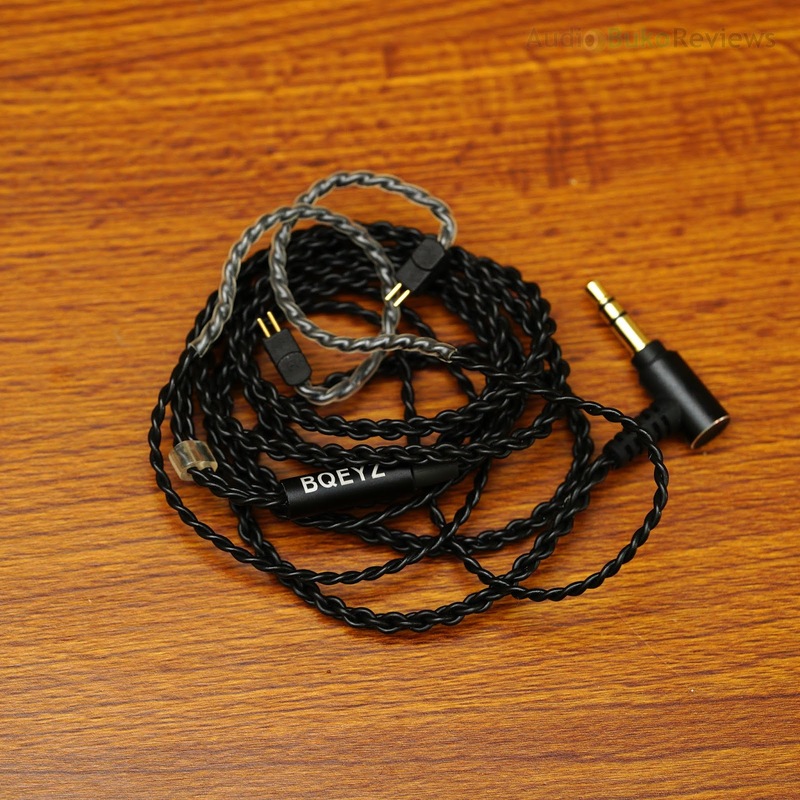 The connectors are solid black plastic bodied 2-pin connector with gold plated pins, their size is made for use with custom iems as they are rather slim, which perfectly fits the IEM recessed slot. 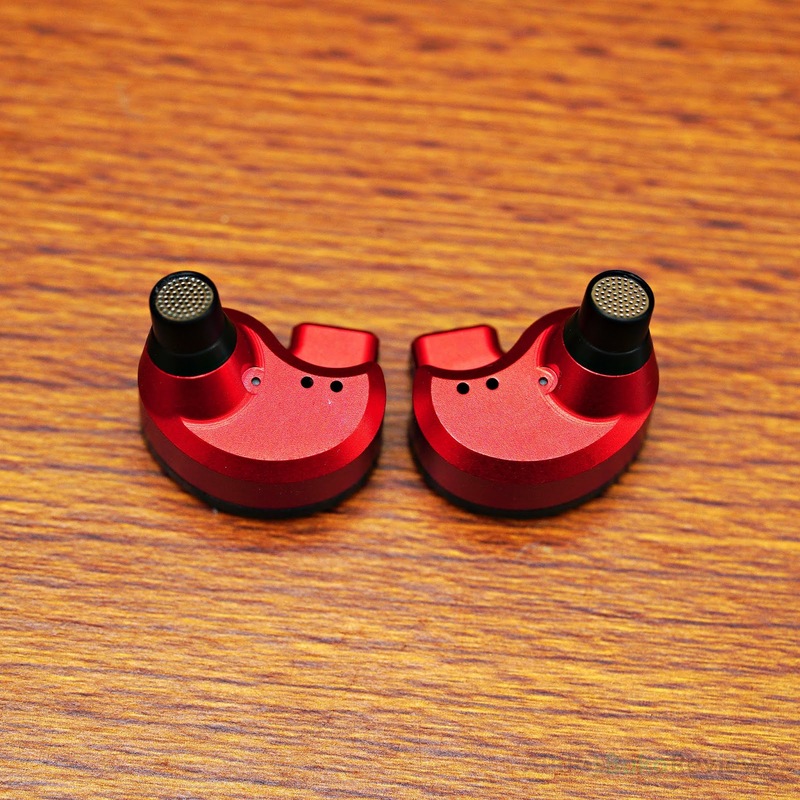 Build/Design: The KB100 shell is made from smooth 2 toned aluminum, one black faceplate and inner shell body in red. The black faceplate has a silver trimmed outline as well as shallowly engraved L and R markings with the brand and model inside a carved depression in the middle on each side of the plate. On the red part of the shell, the sides are smooth and flatly bean shaped to help conform to most ears (in some of the meets I've attended with it, I noticed some people with rather small ears may feel the pin side to be hitting their inner lobe which can be a little uncomfortable, some adjustment of the position or using a longer tip helps alleviate it,) inner side part in red is smooth and has no holes or any design elements. The inner side has 2 holes a bit further away from the nozzle which is the driver exhaust for the dynamic drivers or the nozzle vent or both, which I think is more likely since I have never encountered any driver flex with the KB100 and there is no sound distortion normally associated a closed back dynamic. The nozzle is made from a black smooth material, there is no tip lip but as BQEYZ mentioned, (I paraphrased their response) that the nozzle diameter will be larger if they added a tip lip and the silicone tips would increase in size by a little bit which can cause discomfort in wearing (for some users), also, the tips they used were made with good quality to avoid any slippage of tips. 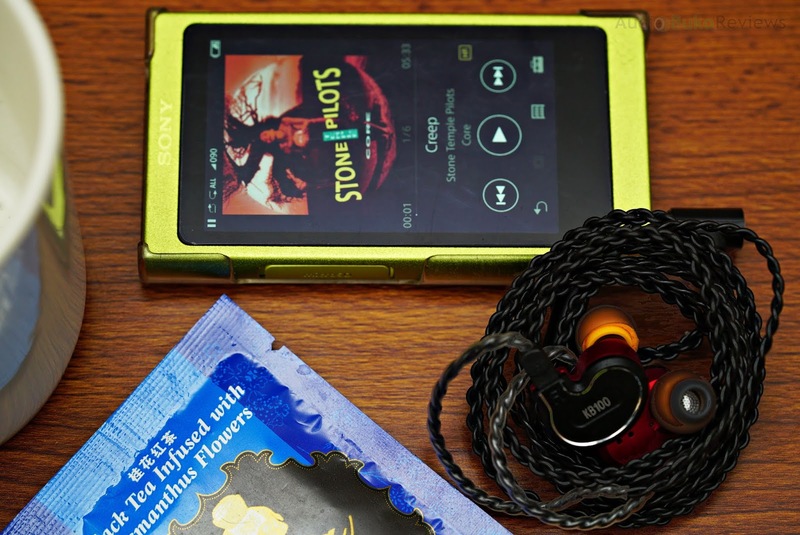 So far, the stock tips in my use and review have never accidentally been left inside my ear, Symbios and other good tips like Acoustune tips, JVC Spiral Dots, Comply and Campfire marshmallow tips stay in place very well too. 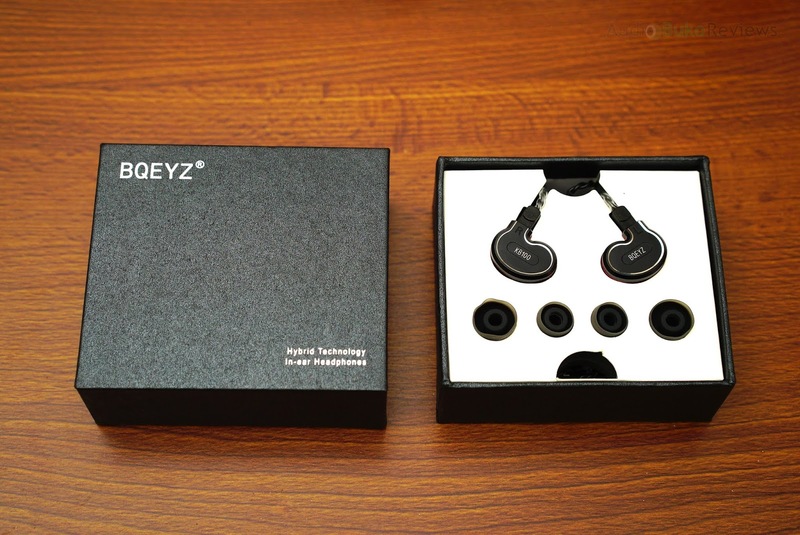 Sound Analysis: Unlike most of my reviews, I did not have an impression post for the BQEYZ KB100 though I have teased and let others test it in the meets I've attended since I got it, it's actually a good IEM out of the box, having a configuration like a 3 way speaker, there are 2 dynamic drivers and 1 balanced armature that acts like a tweeter. A pretty sweet setup that is a bit different to the typical 1 dd and 2 ba design, this from the onset gave me a good amount of bass that was a little bit rough around the edges on very bassy tracks, the mids were good and a little forward, a tuning I particularly like, that has adequate details and clarity and a treble that well, I considered a safe tone for sensitive ears. Giving the drivers a bit of a run through, I let the KB100 play music for over 200 hours before starting my review, using the stock tips and most of the time the WM1A to figure out the sound of the KB100. Bass: With Dragonborn, the sub-bass of the KB100 is presented with an above average quantity and extension, letting the war drums in the intro reach a good depth and reverberate with good reach and rumble which reflects with a little slower than average speed of decay. Though its decay is a bit slow, the KB100 is able to resolve the grindy reverberations in The Day The World Went Away quite well, giving bass guitars a less crunchy sound and instead a little more smoothness in return in songs like Lithium. The bass in Lose Yourself to Dance is able to deliver a moderately weighty hit that feels smooth and full, giving bass heavy songs a nice steady and felt cadence to the beat of the music. Overall the bass of the KB100 takes a bigger share of the attention, it is articulate, relatively detailed, able to avoid any bleed and still it can deliver a full bodied bass experience, filled with good bass impact and satisfying rumbles and good vibration. Mids: Opening with Pandemic's wall of sound and chaotic beats, the KB100 is able to adequately separate and layer the sounds into each place that keeps the sound uncluttered. Something to note with regards to this area, lesser gear will still sound good and separated, though not as spacious as better players and daps which will definitely sound more spacious and be easier to distinguish individual sound. Regardless of gear, there is a good amount of clarity in the mids, the lower area is in a slightly forward position giving lower mid sounds, instruments and vocals a bit more presence, whereas the upper mids is a tiny bit more forward than the lower mids, giving female vocals a bit more intimacy and immediacy to the instruments. The whole of the mids are quite well bodied, something one can never say is thin or hollow thanks to the warmth imparted to its tonality. Overall the mids are not an afterthought, and though the bass will undoubtedly get more attention, the mids are gonna show you a good time with its detail, clarity and good timbre. Treble: Hit The Lights raising intro of cymbal and hat hits sound nicely executed, there is a naturalness to the decay it presents, neither fast or slow, it hits, expands then dies out without even reaching the point of peakiness or harshness. Treble reach is good enough to provide some air though it's smoothness seems to restrict sparkle as can be heard with Till They Take My Heart Away's usually twinkling highs. This aspect of smoothness does make it easier to listen for long times without being fatigued and it's bodied enough so that the harmonics are not thin or piercing. 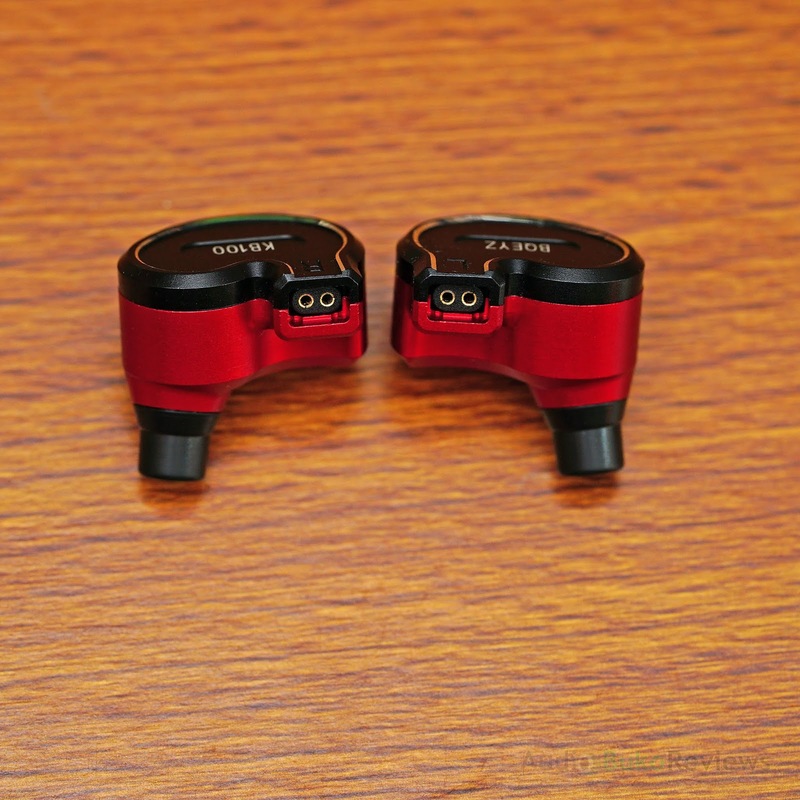 Overall, the treble is safe for those who are sensitive to that frequency range while still detailed and extended enough to satisfy those who want something more open and a smoothness that gives a rather relaxed treble without being rolled off. Soundstage: There is ample amounts of space with the KB100 to enjoy orchestral types of music like Symphony No.3 In E Flat, Op.55 -"Eroica" : 1. Allegro con brio, the range is around 2.5 inches away from the ears wide, though on average depending on how the song is engineered, voices sound just within the entrance of the ear canal for most songs, that's why the the sense of depth forward/back and up/down is of a similar range but sounds deeper, this depth helps provide a more layered/spaced out sound to avoid congestion on even the most complicated tracks. Imaging is generally accurate to be able to place instruments, like in Do It Again (Shirley Horn) there's a trumpet that plays just a little below the ear and a bit behind it. 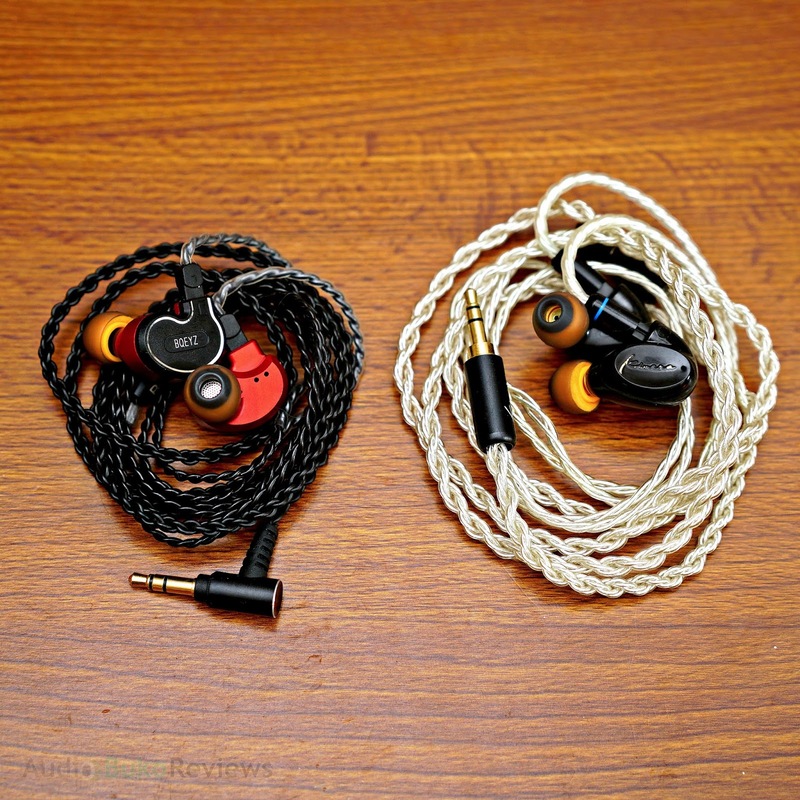 Comparison: Using the WM1a and giving both Symbio W tips to even out their sound, I compared the KB100 with the closest competitor I have on hand by using a switcher and volume matching them to 85dB. Bass: The KB100 has more sub-bass reach than the Seed, which is evident in songs like Way Down Deep though their bass decay is similar in speed. This song also shows that the sub bass quantity is more apparent with the KB100 with each beat of the drums delivering a fuller experience, though the difference isn't miles apart, it is quite noticeable. 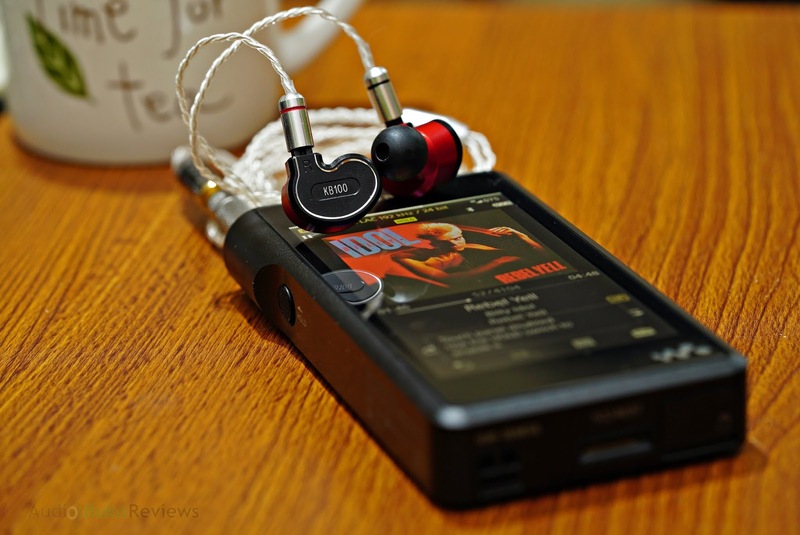 The KB100 has a stronger bass hit than the Seed, the impact is more blunt and fast vs the slower and less heavier hit of the Seed in songs like Cheap Thrills. 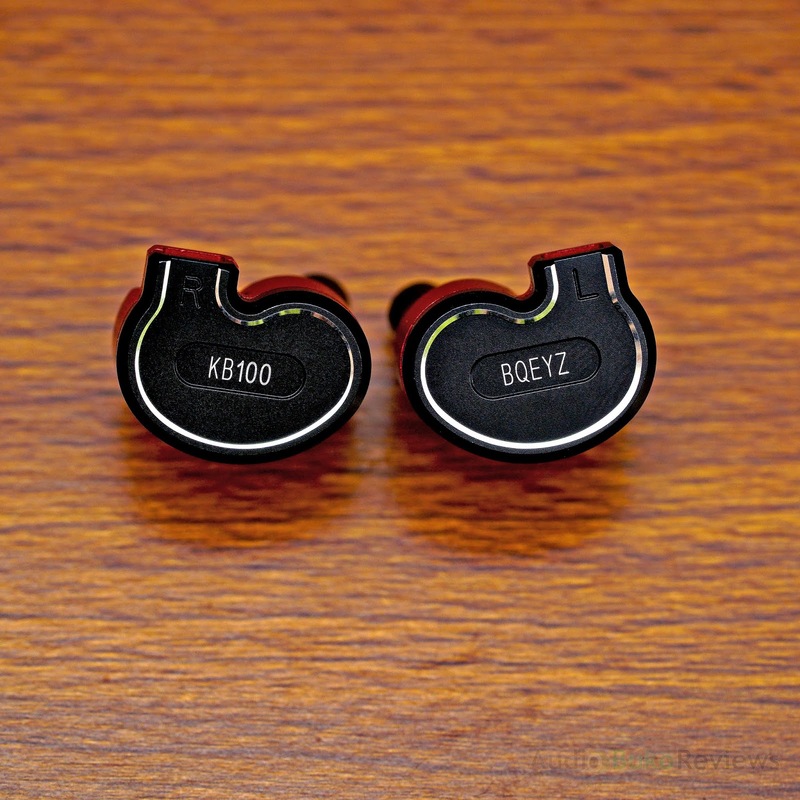 Overall, the KB100 is able to deliver a more pronounced and upbeat bass experience while the Seed is more on the relaxed side of the sound spectrum. Mids: The KB100 is able to render the mids in a more clear and spacious manner than the the Seed, having more space in between the instruments, complicated songs like Poltergeist are presented in a more open and uncluttered way. There is more warmth and smoothness with the KB100 while the Seed has more reach. Both have similar forwardness in the lower midrange and the Seed has a little more forwardness in the upper mids giving female vocals a little more intimacy. Instruments have more body and weight to pianos and guitars with the KB100 and there is a little more presence with the upper mids of the Seed. Overall, The KB100 has a more vibrant and emotive midrange while the Seed has a more brighter and more neutral toned midrange. Treble: The Seed has more treble extension and more air and sparkle than the KB100, however there is more smoothness and body with the KB100 which leads to a more fatigue free experience. Treble resolution is a little bit better with the KB100 and cymbal crashes as well as high frequency harmonics are rendered in a more natural manner. 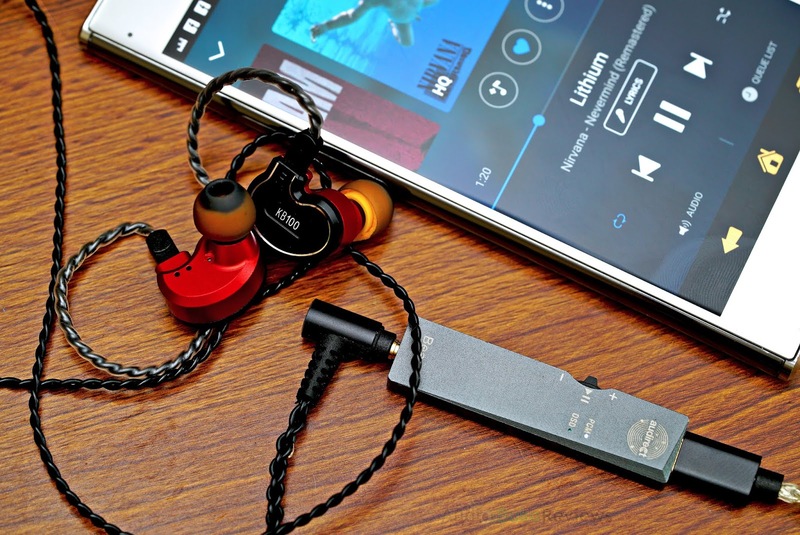 Overall the Seed may cater more to those who like a brighter and airy high frequency region while the KB100 is more for those that want a smooth and longer listening experience. Soundstage: The KB100 has a wider soundstage than the Seed in all axis points, while separation and layering is also similarly better with the KB100. Accuracy is on par with each other being able to place instruments and sounds in the correct location. There is less definition with the Seed than with the KB100. Conclusion: The BQEYZ KB100 quite a refreshing IEM in this price range, with a driver configuration that is uncommon, balanced yet engaging signature thanks to it's rather strong bass presence, a clear and entertaining midrange and treble that is well controlled, it's an overall sound that is (for me) worth more than the price of admission. Along with the sound, the KB100 is made with an Aluminum shell which aside from feeling good in the hand, looks premium. 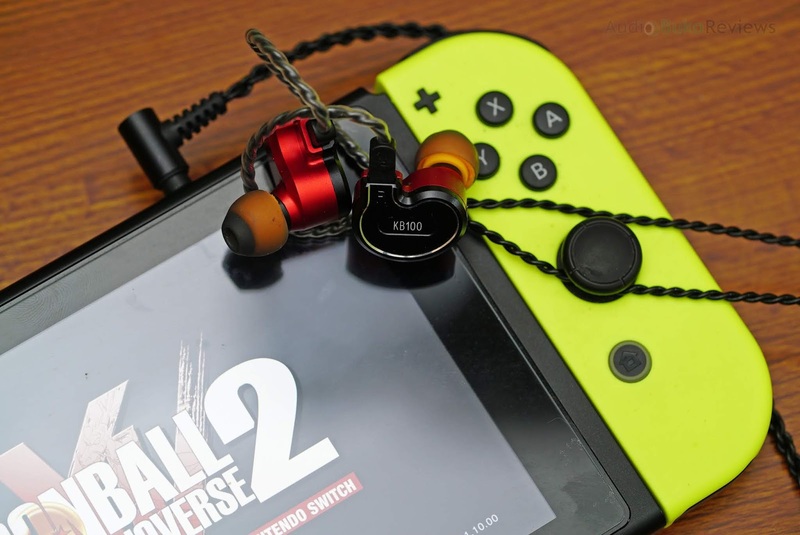 Another is how the detachable 2-pin connection is designed, the IEM sockets are recessed by a short distance, lending the 2-pin plugs some resilience and protection from accidentally bending and breaking. Granted that the whole package is rather plain and the cable looks average, the KB100 itself is a gem and you have the satisfaction of knowing the money you paid went into the development of this little gem. Pros: Quite good bass performance, a nice and above decent midrange, safe treble that isn't rolled off, a smooth performer that provides adequate transparency.